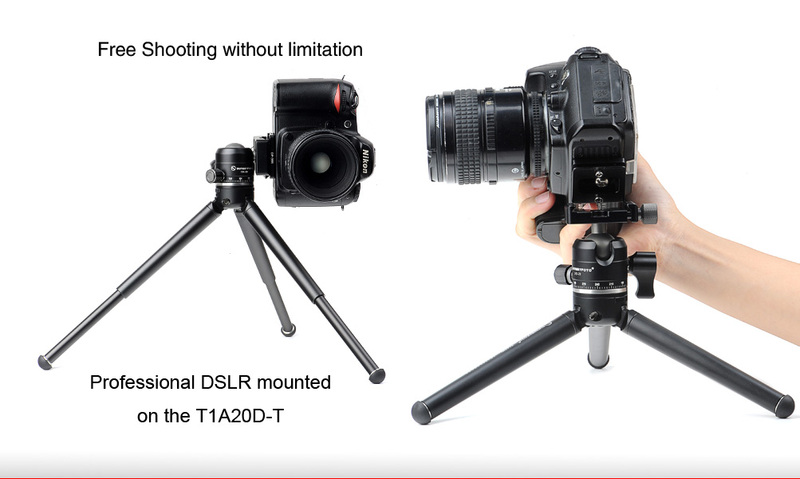 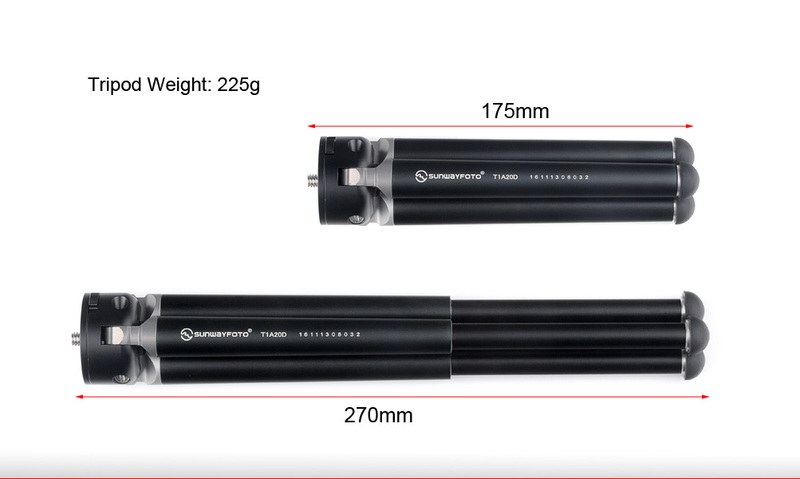 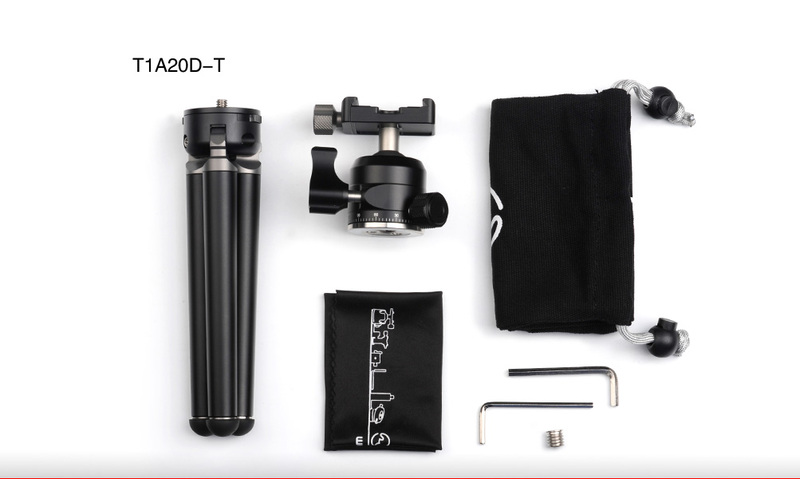 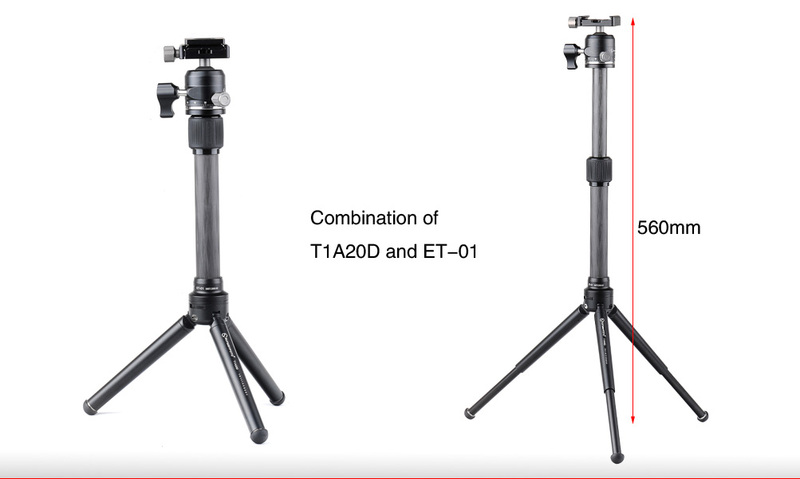 The Sunwayfoto T1A20D-T Professional Mini Tripod Ball Head Combo is machined from light weight aircraft-grade aluminium, stain anodized surface finish for better abrasion and corrosion resistant. 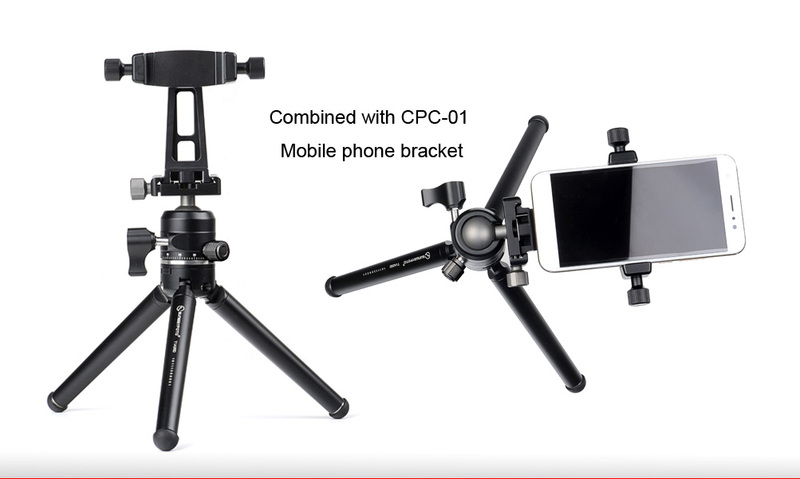 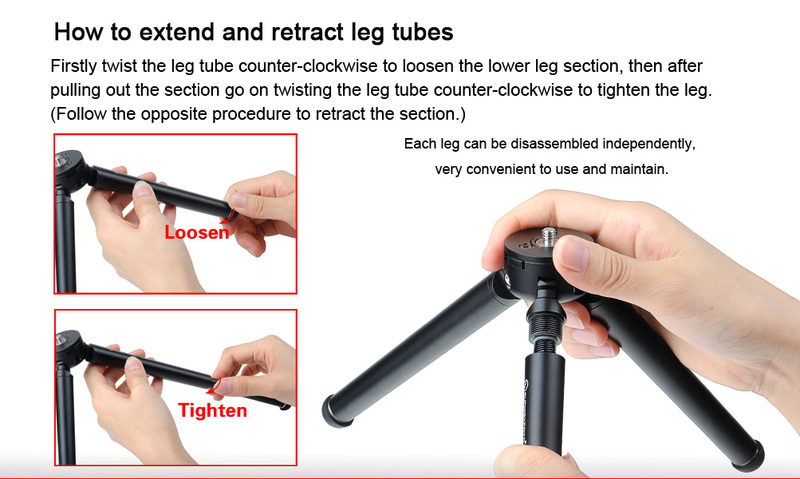 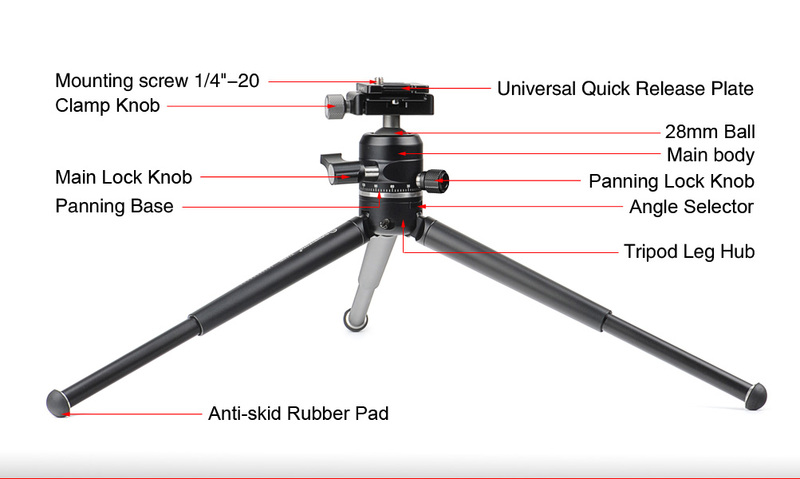 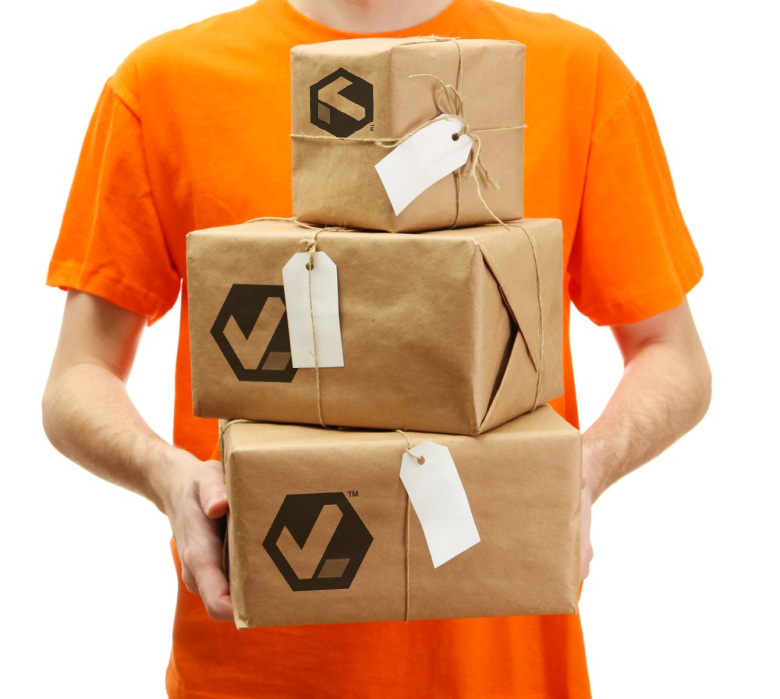 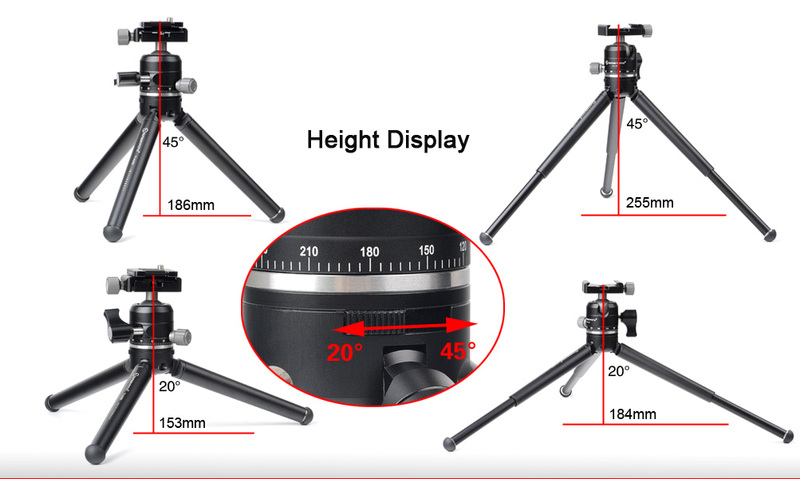 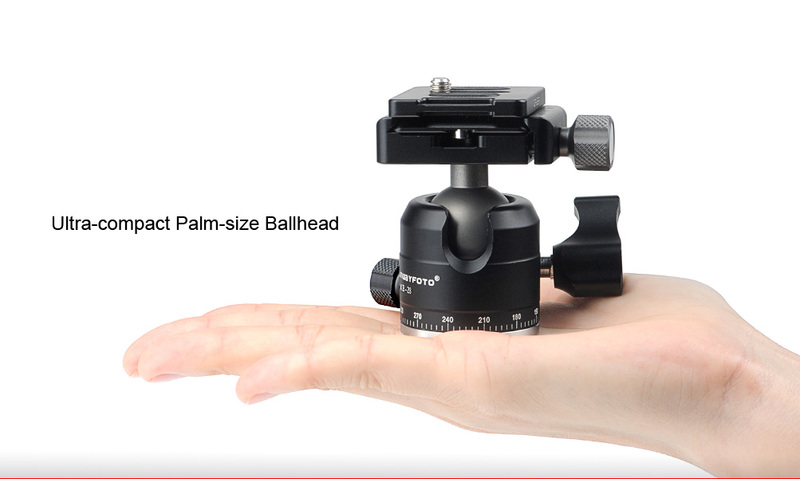 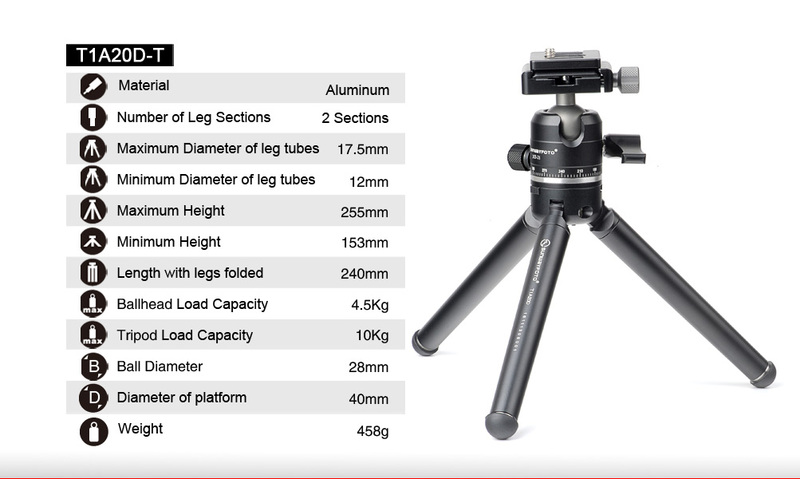 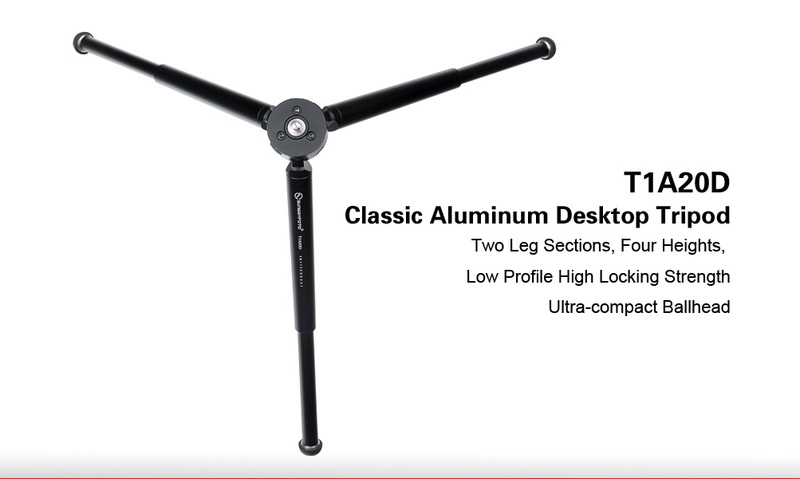 Its a versatile mini tripod supporting compact, mirrorless, DSLR cameras as well as smartphones and even GoPro cameras. 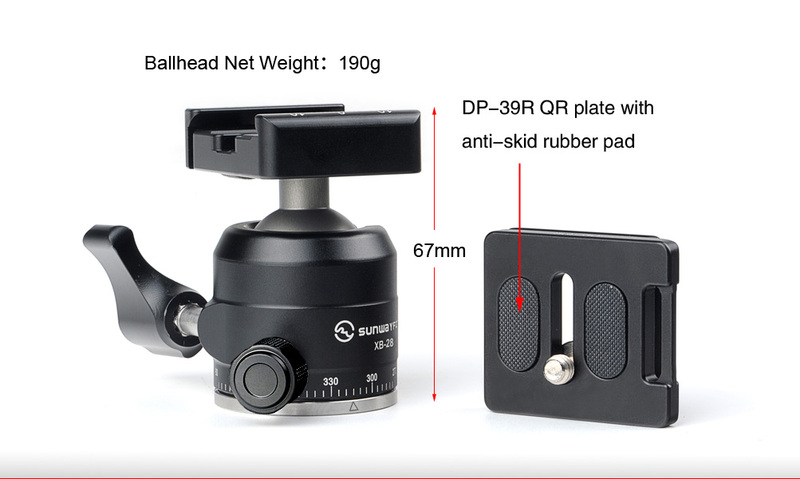 Low Profile High Locking Strength Ball head. 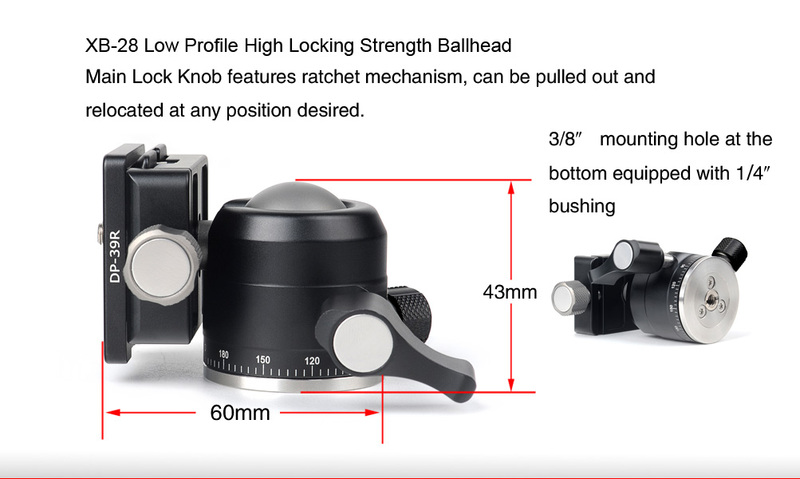 Main Lock Knob features ratchet mechanism, can be pulled out and relocated at any position desired. 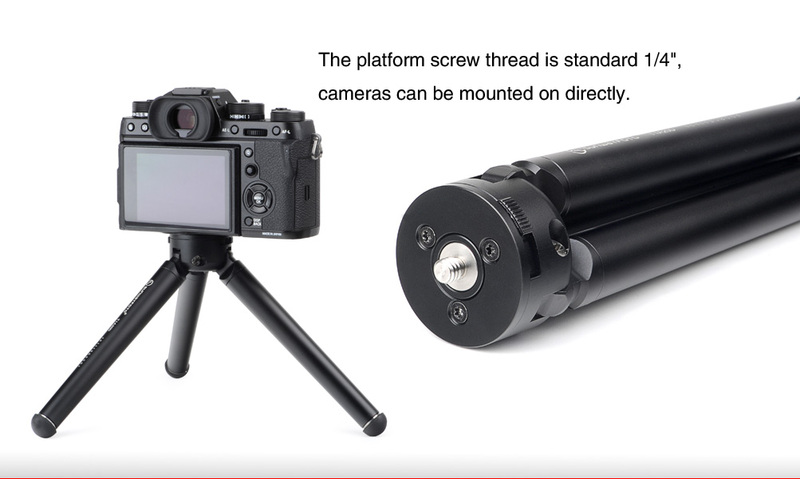 · The platform screw thread is standard 1/4″, cameras can be mounted on directly. 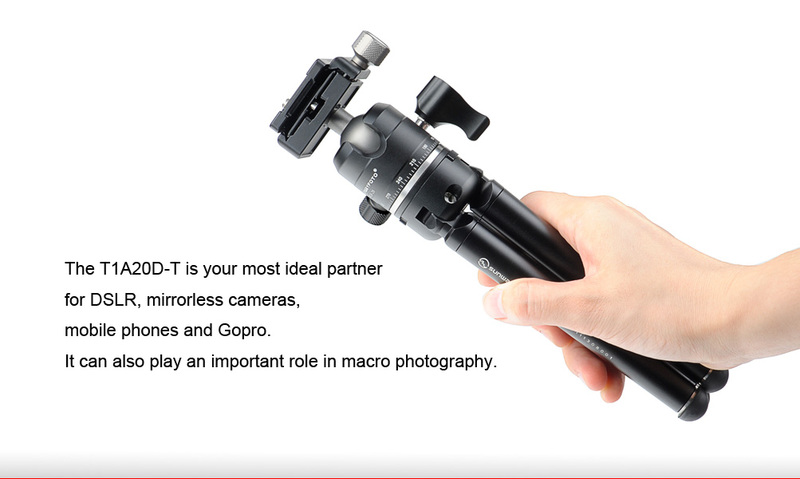 The TIA2OD-T is your most Ideal partner for DSLR, mirrorless cameras, mobile phones and Gopro. 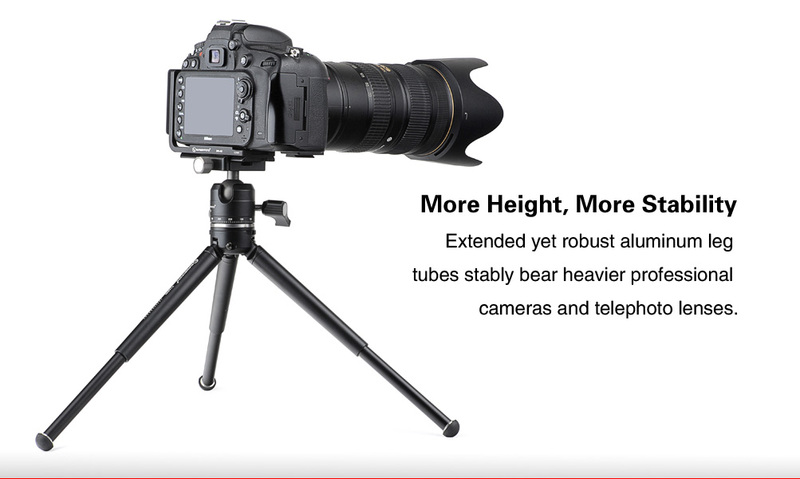 It can also play an important role in macro photography.